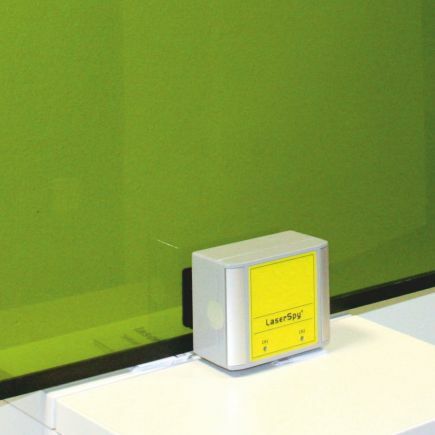 Mineral glass and plastic laser safety windows are one of the three key product ranges of the laservision portfolio of laser safety products. 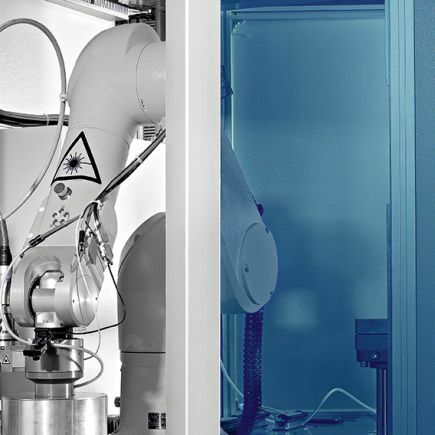 Main applications for laser safety windows are the integration within machine housings or within large area laser protection, such as cabins or panel barriers. The basic standard for laser protection (DIN EN 60825-1:2008) demands that lasers need to be safely operated under all predictable conditions. That means, that the accessible laser radiation must be below the maximum permissible exposure for eye and skin. According to the machine building regulation 2006/42/EG laser protection windows and enclosures are considered as safety components. Mineral glass laser safety windows have been the only solution for visual process observation within laser systems for many years. Due to the manufacturing process of mineral glass laser safety windows it can only be built up to a maximum size of 297x210mm (DIN A4) to keep the needed optical quality. If larger window sizes are needed it is necessary to mount more windows side by side or they have to be mounted as lattice windows. In contrast to that some plastic laser safety windows can by default be shipped up to a size of 2000 x 3000mm (filter P1P10, P1P12). Thereby the user has an additional freedom of design of his machine or cabin. For special high laser power ratings or for unobserved and automatic workstations laservision offers a patented active laser safety window which ensures, that in case of a laser hit, the laser will be shutdown immediately. 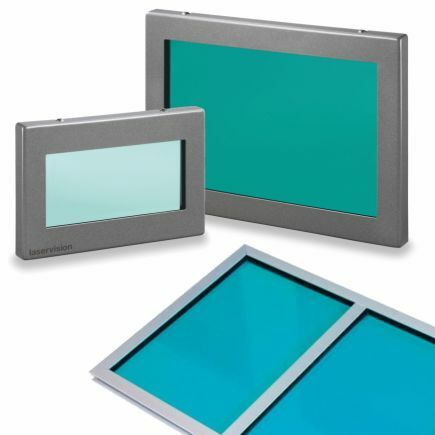 This active large area laser safety window is especially suitable for the industrial used laser wavelength 820 – 1100 nm. Based on the standard DIN EN 60825-1:2008 for laser protection, a laser system must be designed and installed in such a way, that harmful radiation is not accessible under all circumstances. This means, that the maximum permissible irradiance levels for eyes and skin must not be exceeded outside a laser protection system or cabin. According to the Machinery Directive 2006/42/EC, the enclosure, protective walls and windows of a laser system are also considered as safety components. So far, most laser protection filters, which are also used as a laser safety window, received an EC type examination certificate (CE certificate) based on the standard for laser safety eyewear EN 207. With the re-evaluation of the Directive on Personal Protective Equipment (PPE) to EU Regulation 2016/425, however, new requirements for all PPE products, such as information on manufacturing and expiration date as well as on storage or service life time have to be provided by the manufacturer within the product instructions. Since a laser safety window does not represent a PPE, in future the CE certification of the laser safety windows from laservision will be based on the standard EN 60825-4 of the Machinery Directive. Due to significantly different test conditions, a direct comparability of differently certified products is basically impossible. The differences between the various test standards are briefly summarized below. EN 207; EN 208 - Laser eye protection. Through the approval of an independent certifier, laser protection filters made of glass or plastic material for Personal Protective Equipment (such as laser safety eyewear) obtain an EC type examination certificate (CE certificate) based on EN 207 or EN 208 test standards. The specified irradiation time is 5 seconds (or 50 pulses) with a beam diameter D63 of 1 mm. If a material passes that test successfully, a certificate will be issued with LB protection levels for the tested wavelength or wavelength ranges and laser modes (DIRM). This certificate is valid 5 years. 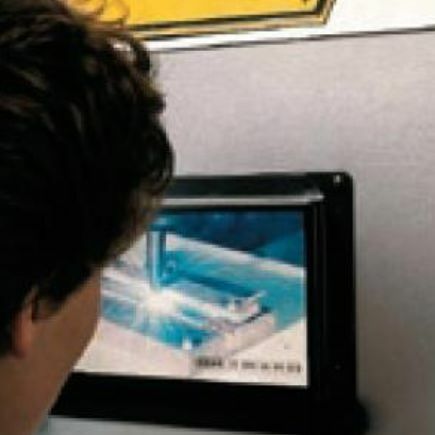 EN 12254 - Screens for laser working places. This test standard applies to temporary, mobile and supervised laser protection setups like curtains or foldable walls up to a maximum average power of 100 W or a single pulse energy of 30 J. The specified irradiation time is 100 seconds with a beam diameter D63 of 1mm. If a material passes that test successfully, a certificate is issued with AB protection levels for the tested wavelength or wavelength ranges and laser modes (DIRM). This certificate is valid 5 years. However, laser enclosures and housings (as part of the laser system) are not part of the scope of this standard. An inspection according to EN 12254 alone does not justify putting a CE mark onto the product. EN 60825-1; 60825-4 - Safety of laser products. The standard DIN EN 60825-4: 2011 defines the requirements for protective walls of laser cabins. For this purpose, three different test conditions have been defined: fully automatic operation (T1 / 30,000 s), partially supervised operation (T2 / 100 s) and permanently supervised operation (T3 / 10 s). The lifetime of the material correlates with the protective exposure limit (PEL), i.e. the power density and the maximum time that a protective housing may be exposed to a direct laser hit, without causing any danger outside the housing. To determine the protective exposure limit laser stress tests are specified, which are carried out with a resulting spot diameter (D86) typically at 3 times the focal length. This irradiation test authorizes the issuing of the CE mark for the tested wavelength or wavelength ranges by an expert or approved certifier or as part of the manufacturer's declaration by the producer. CE marking of laservision safety windows, which is not a mandatory requirement, always comes with a reference to the test standard EN 60825-4 in its latest version. In order to offer more information for easier evaluation and comparability, additionally, LB- and AB safety levels of the specific product will be provided on separate labels. The user can then attach those labels to the machine housing or to the system documentation. As an option, laservision will still be able to mark those additional specs directly onto the laser safety window.